I love bread pudding. A delicious treat perfect for any season. 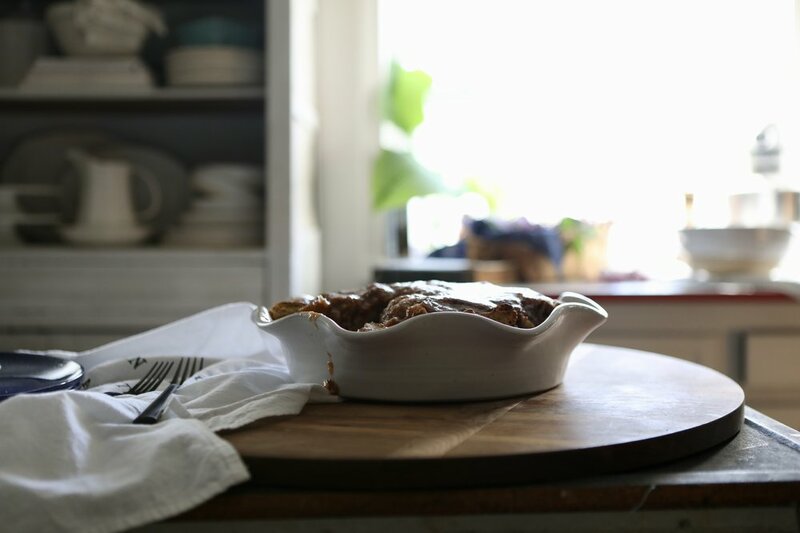 I had some extra loaves of apple cinnamon bread and a beautiful piece of Farmhouse Pottery to shoot. Bread pudding is one of the easiest desserts to make. A perfect way to use day old biscuits or bread or a cake that simply came out of the pan all wrong. When making bread pudding you can basically get away with anything. Add raisins or nuts if you’d like. You’ll need a sauce, but it can be a wide variety of things. My recipes is my favorite, but by no way diffenative. Add 1/2 cup raisins or nuts for additional flavor. Cube loaf of bread into 2” cubes. Mix all other Ingredients together and pour over bread. Allow mixture to sit for an hour or so for the bread to absorb the liquid. Bake in a 350 degree oven for up to one hour. Remove when the bread pudding is golden brown. Mix all ingredients together. Pour over hot bread pudding. Serve hot or cold.